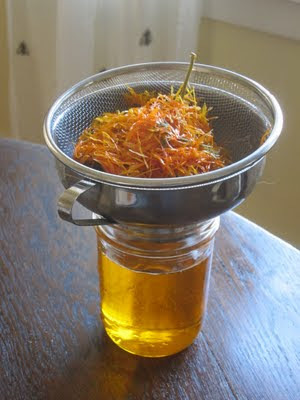 On Saturday, as a part of this long series on Calendula (here, here and here), I posted about infusing oil with herbs. If you’ve got some herb infused oil, you can make that into a medicinal salve or balm. Salve is nothing but oil thickened by the addition of wax. I prefer beeswax salves, though there are vegan alternatives, like candelilla wax. They are used similarly. Of course, you don’t have to make salves with infused oils. Plain olive oil and beeswax are a powerful healing combination on their own, great for a no-nonsense lip balm or hand treatment. You can also use essential oils to bring herbal essences into a plain salve. 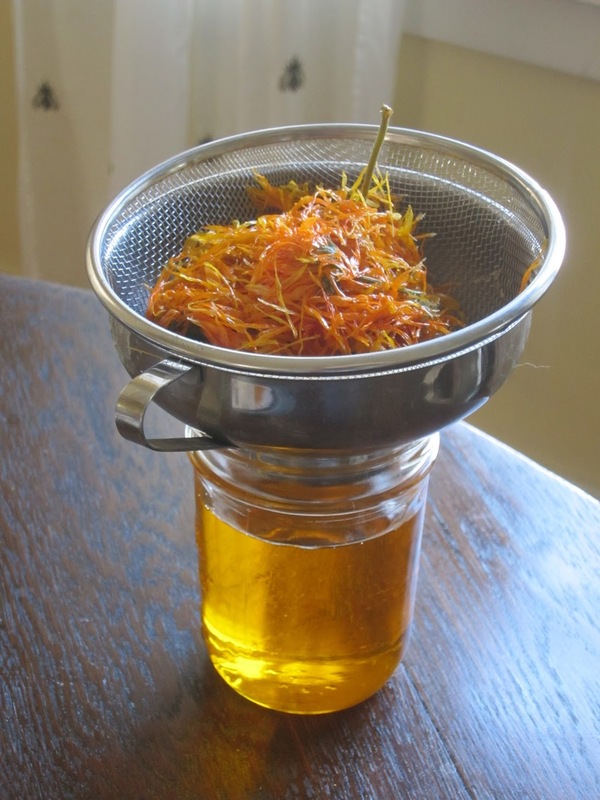 Once you know how to make salve, you can not only make skin salves, you can make lip balm and headache balm and stick deodorant and homemade cosmetics. It’s a simple technique, but it opens a lot of possibilities. 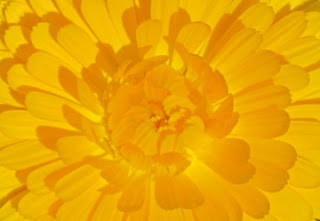 My favorite herbal salve is made out of a mix of equal parts Calendula (pot marigold), chickweed (Stellaria media) and plantain (Plantago major) oils. These three work together to make an all purpose salve that is as good for gardener’s hands as it is for diaper rash or skin scrapes or bug bites or dry cuticles or badly chapped lips or mild sunburn or whatever. I always have a jar on hand and I give jars to friends and family. Yesterday I made a batch of pure Calendula salve, a big jar of after-bath moisturizer. Like body oil, salve works best as a moisturizer if applied to wet skin. Calendula extracts are found in a lot of high end cosmetics because it’s a mild but effective skin herb. It’s anti-inflammatory, anti-bacterial, soothing, and helps skin regenerate. I love smoothing it from my cat-scratched ankles and my mosquito-bit knees up to my sun-baked face and arms. The only secret to salve is that it is so darned easy to make. The only equipment you need is some kind of double boiler situation: a true double boiler, a heat proof bowl balanced over a sauce pan, etc. 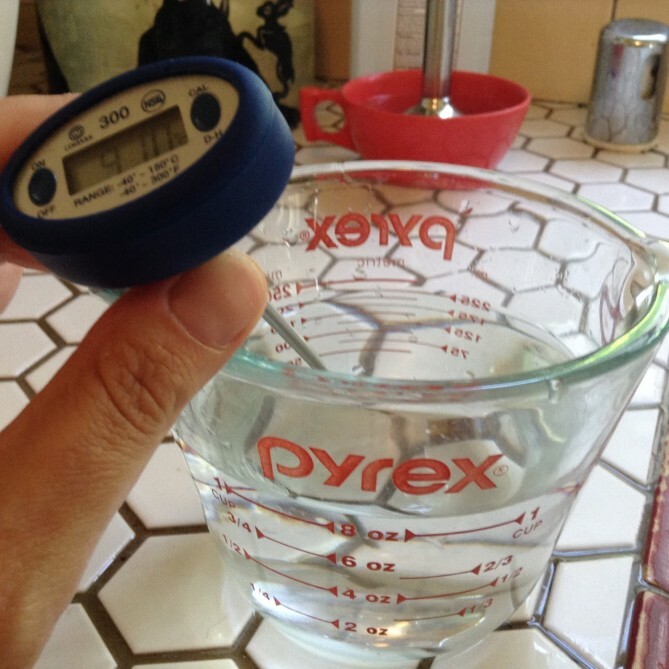 What I usually do is put a Pyrex liquid measuring cup into a small pan of water. I set the burner on to medium heat and bring the water to a very gentle simmer. Thus the oil heats without overheating or burning. To the oil I add a little bit of organic beeswax, and continue to heat and stir until the beeswax dissolves. That’s all there is to it, really, but I’ll explain the details. Where do you get the beeswax? You can order it online, just search “organic beeswax”. I wouldn’t buy it in craft or hardware stores unless it’s marked as organic. Beeswax holds on to chemicals, so if the bees were working fields which were sprayed, traces of those chemicals could end up in your balm. Same goes for cannibalizing beeswax candles. 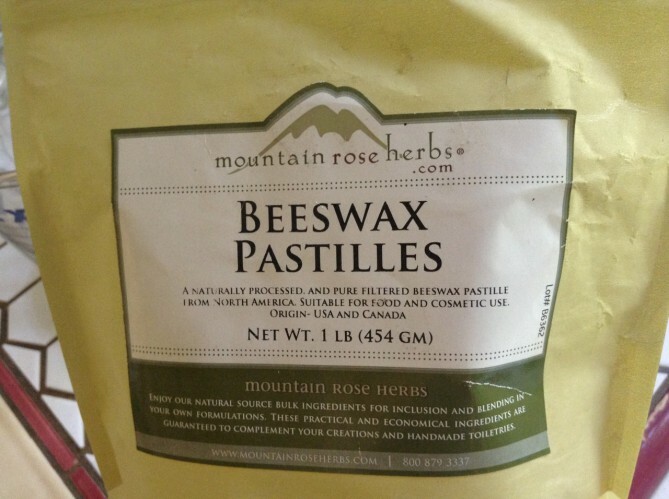 I hope to get some nice clean wax from our hive soon, but in the meanwhile I buy my wax from Mountain Rose Herbs. It comes in both pellets and blocks. Pellets are a lot easier to work with. Good organic beeswax smells heavenly, by the way, and that scent carries into the finished salve. How much beeswax do you use? 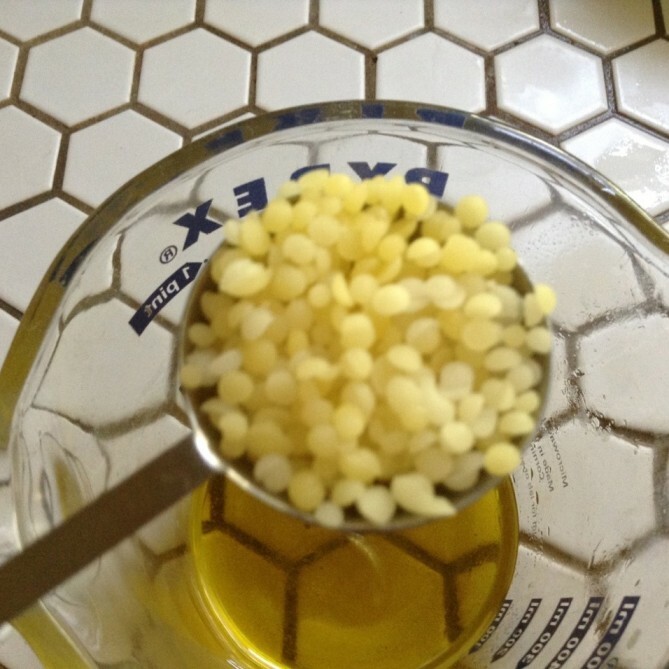 Making salves is all about simple proportions–the ratio of oil to wax. 4 parts oil to 1 part wax yields a firm salve. You’d want this sort of proportion for roll up lip balm tubes or roll up deodorants, cases where firmness is a virtue. If you don’t necessarily need a firm salve, you have a lot more latitude. 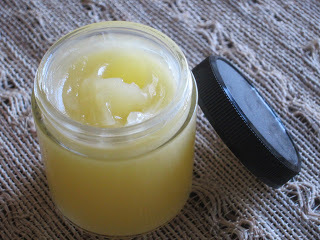 6 parts oil to 1 part wax makes a soft salve, better for scooping up with the fingers. To tell the truth, even small amounts of wax will firm oil up to a sort of loose ointment consistency. 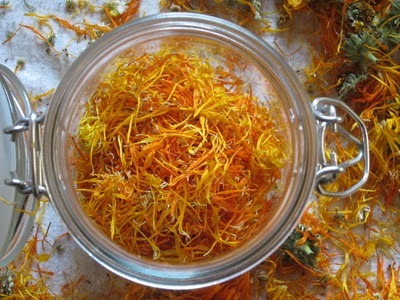 For this Calendula bath salve I just made, I didn’t bother to measure. I just added a heaping teaspoon of wax to my oil. The ratio must have been 10 or 12 to 1. I wanted something very soft. So does this make sense? For instance, say I want to fill a particular tin with my skin healing salve. I measure the volume of the tin first, by spooning water into it. Say it holds six tablespoons. The easy math on this one would be to warm 5 tablespoons of oil plus 1 tablespoon of wax (5:1). That would work without resorting to teaspoons and fractions, but if I wanted a looser salve, I might short the wax measure. Keep in mind it’s very easy to repair a too-hard or too-soft salve. Just reheat it and add more wax or more oil as needed. You can get some sense of how a salve is going to harden up by dropping the hot liquid onto a cold plate–just like jam. Measuring beeswax: Because salve measurements don’t have to be precise, there’s a few ways to measure out wax. 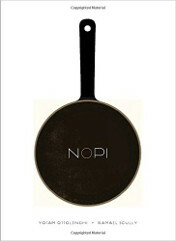 Measuring by the spoonful is easiest–spoonful of oil to spoonful of wax. If you have wax in the pellet form, just measure the pellets by the spoonful. If you have a block of wax, shave the wax and press the gratings into a spoon. Alternatively, you could measure wax by displacement: pour oils into a measuring cup, then drop in pieces of wax until the liquid level meets the desired measure. 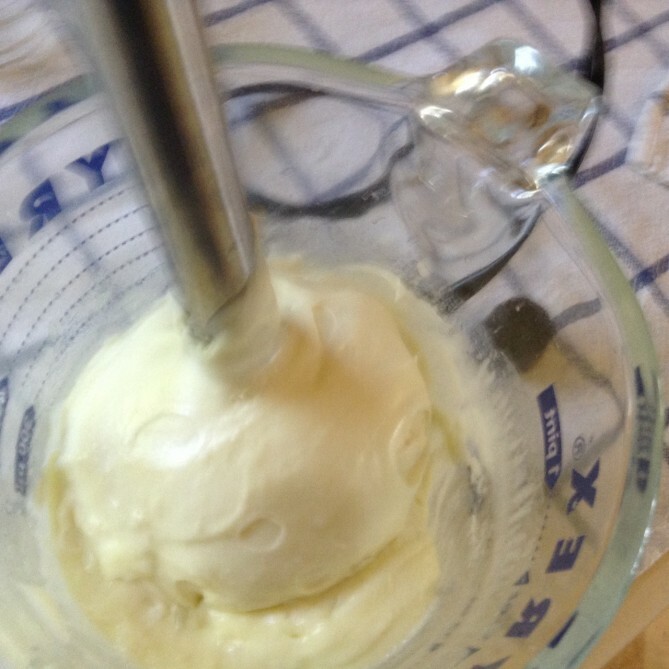 For example, for a 6:1 ratio, fill a clear measuring cup to 6 oz. 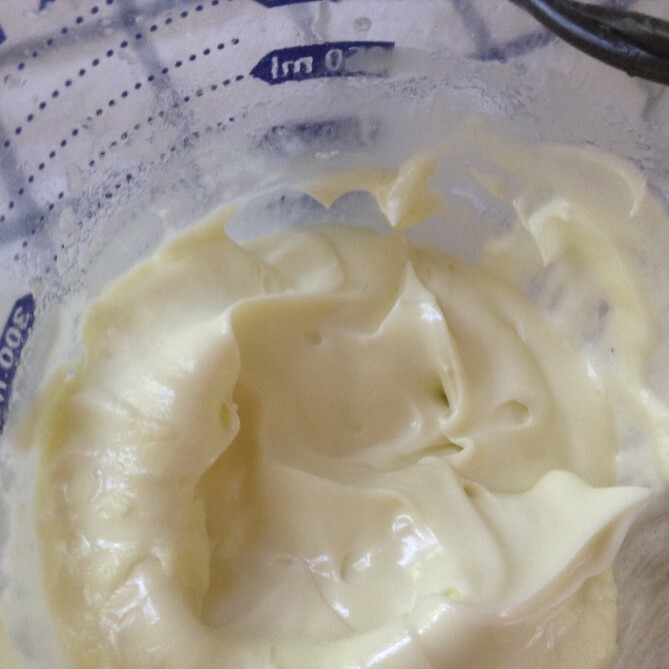 and then add wax chunks until the volume rises to 7 oz. That equals 6 oz. of oil and 1 oz. wax. 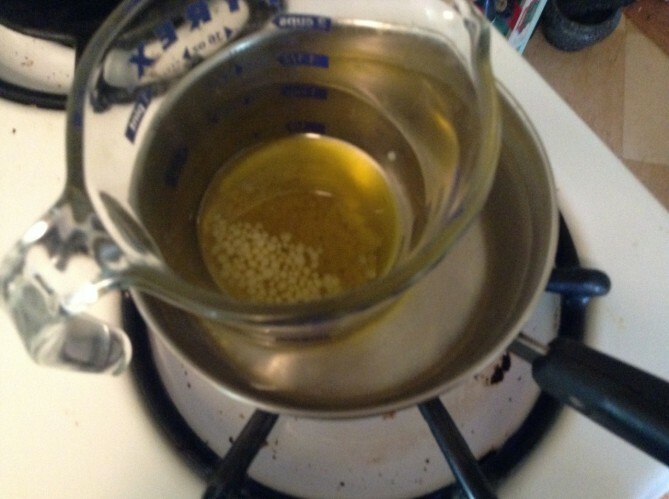 Okay, so you’re warming your combined oil and beeswax in a double boiler-type situation, as described above. Once the wax has warmed enough in to dissolve and vanish into the oil, take the oil off the heat.When using herb infused oils, you want to treat them gently and heat them as little as possible. If you want to add any scent, or if you’re into the healing properties of essential oils, this is the time to stir them in–right after you take the mix off the heat, but before you pour it. For lip balms, I’ll add a few drops of peppermint essential oil. Do be careful with peppermint oil, though–too much will make your lips burn. Think something along the lines of 2 drops of of peppermint essential oil per small tin of lip balm. It’s easy to warm it again and add more if you want it stronger. Same goes for scents. Use a light hand. A few drops will do it in most cases. Also, I should add that you can infuse oils with scented herbs, like dried lavender buds or rose geranium leaves or chamomile flowers. They’re not as strong as essential oils, but very nice in salves. And a lot cheaper. Here’s a hint regarding essential oils: For inspiration regarding what kind of essential oils might go into different types of salves, check out the product line at Badger Balm. 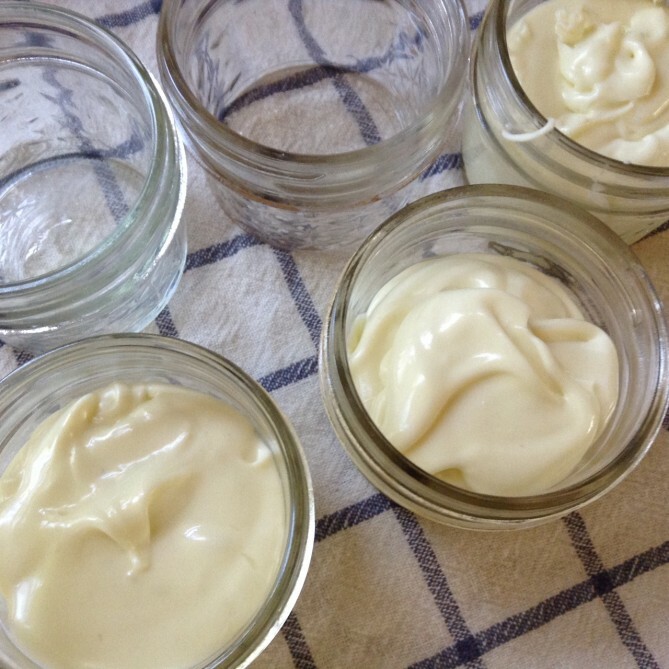 Once you’ve stirred in the essential oils, pour the liquid salve into clean, dry jars or tins. Make sure your containers are dry and clean. Dirt or water could lead to contamination and mold. Pour it fast, before the mix starts to cool. I find that the lip of a liquid measuring cup gives enough control to fill even those fiddly little plastic lip balm tubes. Let the containers sit, open, until they are completely cool. Then lid them and label them. The best way I’ve found to deal with the waxy grease residue (since I stopped using paper towels) is to shake a generous amount of baking soda into the dish and then rub it around. The soda lifts and traps the grease. It works like a charm. To be honest, I’m not sure what the expiry date is on these things. I’ve never had a salve go bad, but they do lose potency and scent. Also, a salve or lip balm that’s being used is exposed to a lot more bacteria than one which is unopened. I’d say the unopened ones could last 6 months to a year, but once you open a tin or jar and start sticking your fingers in it, you should use it up in a few months. 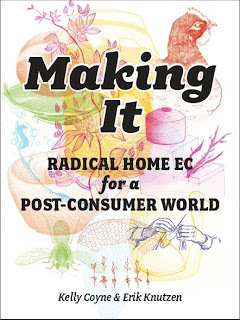 Self promotional note: We cover all this stuff in much more detail in Making It: salves, lip balm, deodorant, etc. –with proper measurements and everything! 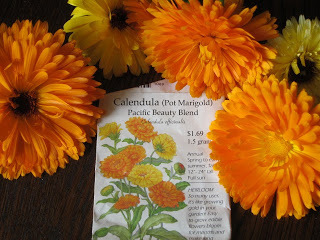 Okay, so in a previous post I talked about growing Calendula. This post I’m going to talk about harvesting and drying it. The next post I’ll do on the topic will be about making a skin-healing salve from the dried petals, olive oil and beeswax. 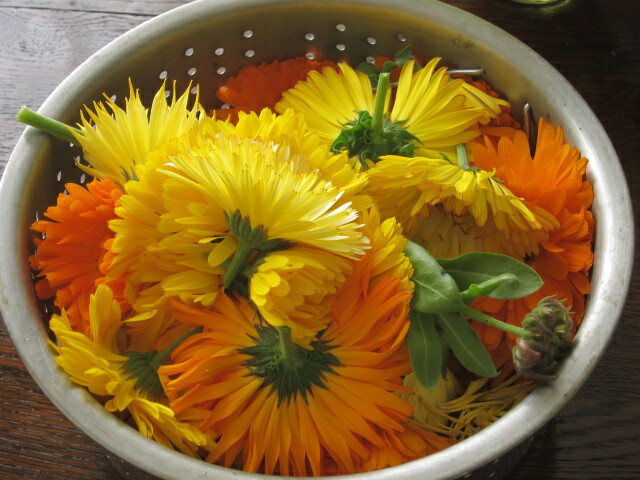 Start harvesting your Calendula as soon as the first flush of flowers is in full bloom. Don’t try to “save” the flowers. The more you harvest, the more flowers each plant will put out. After the first cutting, you can probably return to harvest more every 3 days or so. The ideal time to harvest is in the morning, before it gets warm, but after the dew dries. You want them all fresh and perky and at their peak. This is traditional wisdom. However, I believe it’s better to harvest when you can than not at all, so I harvest at all times of day. If you don’t harvest the heads, they die back on their own, and then they’ll go to seed fast. If you don’t like the idea of Calendula volunteering all over your yard the following year, you’ll want to collect all the heads before they die back. However, you may also want to monitor them carefully and collect ripe seed for planting the next year (you want to collect the seed when it’s brown, not green). And if you want to keep track of such things, if you make a point of saving seed only from the plants with the best blooms, your favorite colors, etc., over generations you can breed your own line of Calendula. Alien beauty. 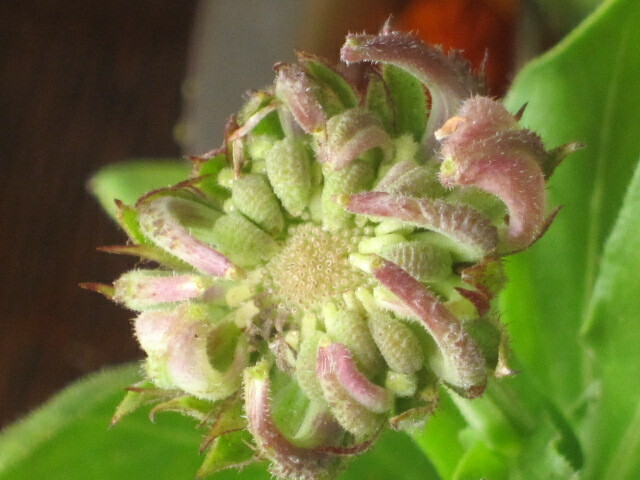 A seed head in its early stages. The seeds are the green things that look like bugs. I harvest the flower heads only, though I understand that the foliage has much the same properties as the flowers. If I were short on plants, and knew I’d get few flowers, I’d harvest and dry the leaves to make up that lack. Given a choice, though, I prefer the flowers, just because they’re good for cooking and decoration as well as my salves. People used to eat Calendula leaves (they’re known as “pot marigolds” because they used to go into the cooking pot), but I’ve tasted them, and I don’t think I’ll be making them part of my diet unless I have to. Bring the flower heads indoors, into an area out of direct sunlight. Don’t wash the heads. Spread the heads out face down on a dishtowel or a sheet or newspaper or for fancy, an old window screen stretched between two chairs. I find laying out the heads an oddly satisfying activity. Of course, if you have a dehydrator you could use one of those. Calendula should never be subjected to high heat, so oven drying is out of the question. 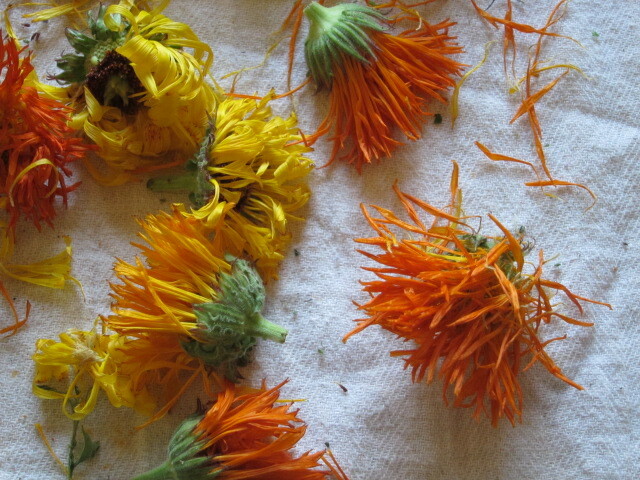 Set your dehydrator to 90-95 degrees F.
If you’re air drying, turn the flowers over every so often. 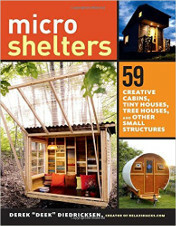 Keep them out of direct sunlight. They’ll shrink quite a bit as they dry, so you’ll have room to keep adding fresh specimens as they come in. They must be completely and absolutely dry before they go into storage. Believe me when I say this is important. A couple of years ago I was impatient and put a few chamomile buds which must have been not-quite-dry in to a jar with the rest of my (painstaking) chamomile harvest. The next time I opened that quart jar I got a big nasty whiff of mold. I almost cried. So–the flowers must be dry. They should be fragile, crispy and very dry, like crepe paper. Make a habit of feeling them at different stages of drying to develop sensitivity in your finger tips. You’ll notice that when they’re not quite dry they’ll *look* dry but when you touch them they are a bit cool compared to a truly dry flower. In other words, you can feel the water in them. Leave those for another day or so. There isn’t a right or wrong here. Everybody does it different. If you plucked all the petals off the heads when you first brought them indoors, those petals would dry very fast. But that, in my frank opinion, would be a pain. It would be like playing a game of “He loves me, He loves me not” that lasted for hours. If you want to leave the petals on the heads that’s fine. The heads (green parts) have medicinal properties too, so you can use them whole. The only thing is that you must make sure those heads are completely dry before you store them, as I said above. What I do is is wait until the petals are dry, then I pluck them from the heads, to avoid the whole “is the head still damp?” issue. When the petals are dry, they come off the head very easy. In fact, the ease with which they come off the head is an indicator of their dryness. If they’re resistant at all, they’re not dry. 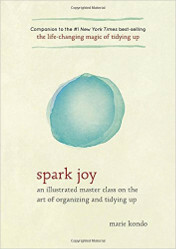 To work in bulk, you can take a whole bunch of dry heads and put them in a bowl and rub them between your hands. The petals will fall off. The heads will collect at the bottom of the bowl, because they are much heavier than the petals. Or you can strip them by hand. When they’re dry, this only takes a single gesture. Only the driest petals go in the jar. All that debris around the jar is stuff that’s not dry enough yet. Yes. And no. Depends. 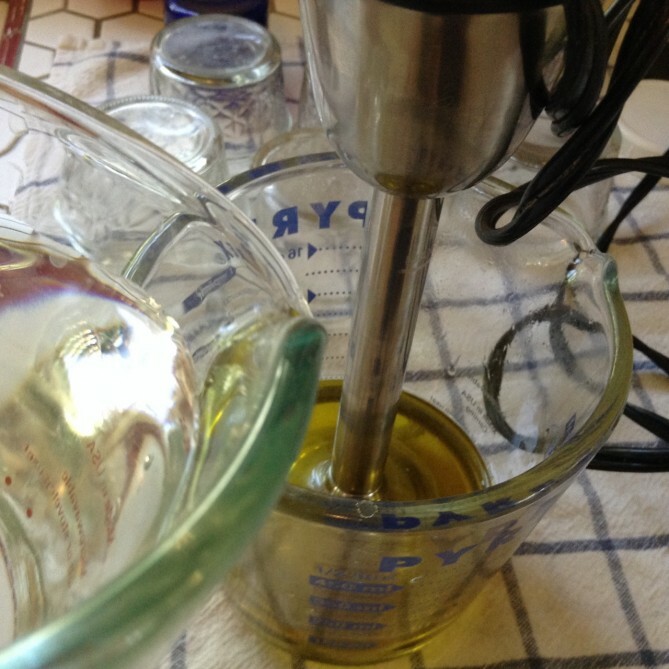 The next step in this series of posts is the making of an oil infusion. I never put anything “wet” in oil, because of the slight chance that botulinum toxin might develop in the oil. Herbalists who I respect put fresh matter in oil nonetheless, and I envy them, because I suspect they’re getting more out of the plant by doing so. But I’m not going to take that risk–or write about it if I do. This is just safer. You can use the flowers fresh other ways. You can make them (and the foliage) into a tea, which you could use as a skin wash for sunburn or irritation–or drink. Fresh flowers could go into your bathwater to make a soothing bath. Fresh flowers can also be soaked in alcohol to make a tincture. I keep my very dry herbs in sealed mason jars in a dark cupboard. You don’t want to expose any dried herb to sunlight for any length of time. I use jars because I don’t take any chances with pantry moths (it’s amazing what they’ll get into). The risk with jars, as I’ve said, is that if the herbs aren’t perfectly dry, you’ll get mold. This is why other people opt to keep their dried herbs in paper bags–bags breathe a bit, so lessen the chance of mold. This is a good option, too. I try to switch out my dried herbs every year–at least the ones I grow. Some of the things in my cupboard are older than that. I think some herbs keep their properties longer than others, but in general you should try to use them in a year or so. Like spices, the are best fresh, but usable, if not as potent, as they age.